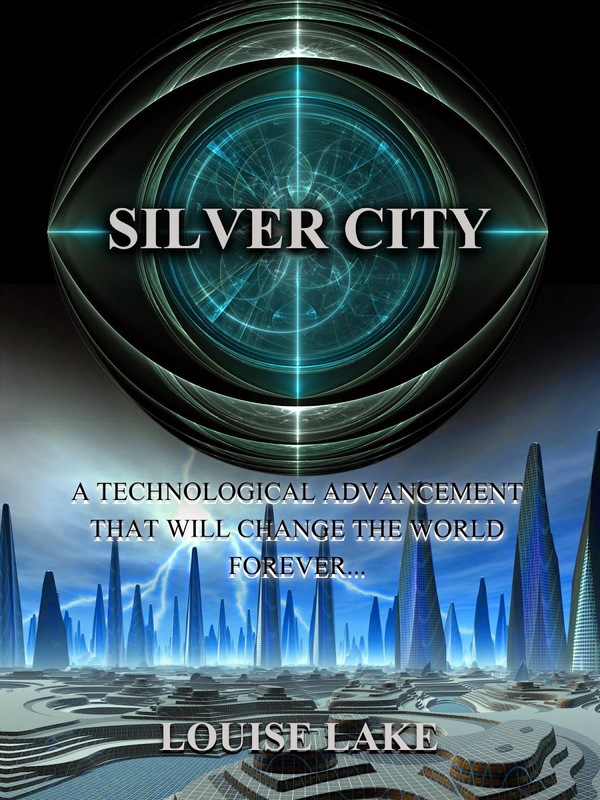 Silver City is on it's way and will be released between March-April time this year. I will update the official release date as soon as possible, but until then here is the official book cover design and first three chapters of the book. The night before the virus broke out was my first wedding anniversary. It was a special night full of laughter. Friends and family gathered from all over to celebrate our night; they came from as far-ranging places as Rio, New York, Spain and Venice. Many of our family members and friends had emigrated abroad, leaving England behind for new jobs and partners but we were amazed by their commitment to fly over to England, just in time for our anniversary. It was a special surprise that made everything perfect, for although we did not know it, this would be the very last time that we would all be together. My husband was happy that night, his smile lit up the room like a cathedral of burning candles. Then the virus came, wiping out the world’s female population one by one. Women all over the globe would become sick and bed ridden, until they began to fade away, like dying embers in the night. At first no one suspected the virus as a global threat, but when more and more patients were brought into the hospitals, the virus was named as a killer. I was a nurse before all of this happened. I worked in one of the busiest wards of Meadow Park hospital. Every day used to be the same; we would get people in with injuries from work, accidents and general illnesses. We also had a ward exclusively for cancer patients, as cancer was the biggest disease we encountered back then. But nothing on this earth, could have possibly prepared us for what we were about to experience: the Pandora epidemic. Pandora is what they named the virus, as when it began it was like unleashing hell upon earth, straight from Pandora’s Box. We never truly understood how Pandora attacked only the female population, sparing all of the males all over the planet: although men could contract the virus, they were free of symptoms, and instead of ending with a cruel fate such as a woman would, they acted as a carrier of the virus instead. Pandora started with a fever and night sweats, followed by vomiting blood, paralysis of the body, and eventually every organ failing, until each patient passed away. The smell of death filled the air everywhere I turned, and no matter what we did to extinguish the stench, it would linger on for days at a time. As more women came in, the stench grew overpowering, and we all had to wear a number of face garments, under the masks we already wore, to ensure our safety. I have always felt mildly attached to the patients I have treated in the past. I believe that every person brought into Meadow Park deserves to be saved. No matter what crimes they have committed in the past, every person should get the chance to start again. Most of my colleagues told me that not everyone is worth saving, but I found this rather contradictive of them, as why would you study years at university and train to become a doctor or a nurse, if you didn’t believe that everyone should be saved, and, more importantly, is worth saving. I respected my patients and always tried to make them feel as comfortable as possible, no matter if that meant supplying them with an extra pillow, or bringing them a vase of freshly cut flowers out of my own pocket. There was nothing I would not do for my patients, and they always thanked me greatly for it, and when it was time for them to be released home I would say goodbye, hoping to never see them again, as I knew if I did it would be back here. I never really spent much time at home as I worked seven days a week, most weeks covering other people’s shifts as well as my own. My husband was always considerate, and understood that caring for people was a big part of my life, and he was fine with everything. Although he did worry about me a lot because of the Pandora virus, he liked to make every night we shared extra special on my return home, just in case the worst case scenario became reality. As a nurse, I was trained in maintaining a professional manner at all times and therefore was unable to personally mourn the death of any of my patients. However, one woman’s suffering affected me more than most, to the point that I felt completely heartbroken at her passing. Her name was Sera. Sera was a gentle soul that had suffered a great deal throughout her life. Her eyes spoke of pain without anyone having to ask any questions, and yet she would tell you all of her stories regardless. She had a kind angelic face with pink rosy cheeks, rose red lips and honey blonde hair. Sera caught my attention the moment she arrived at Meadow Park with her delicate soul. She told me of Victor - the man she loved. She described him as strong but gentle and handsome, with the bluest eyes you’ve ever seen. Sera and Victor should have been married, but their fate was interrupted by her cruel sister. Sera claimed her sister was the jealous type and always wanted to have anything that Sera had, including the man she loved. Her sister tried to seduce Victor, knowing that she was in the early stages of the Pandora virus, but Victor refused her. But Sera’s sister had deeper motives than just trying to steal her sister’s lover, she knew that if she touched Victor then he would contract the virus, and when he touched Sera the consequence would be fatal for her. Sera was the first patient that I couldn’t bear to watch die. She never told Victor that she had contracted the virus, and instead admitted herself straight to hospital, where she was immediately quarantined for further testing. When Sera told me her story I wondered why she would not want the man she loved to be with her on her final days. I asked her why and she simply said, ‘I could not tell Victor because it would destroy him. He loves me so much, and I him but if he knew that he was the one to pass the virus onto me, he would never have forgiven himself. This way he will think I caught the virus elsewhere, and not live in torment with the fact that he killed me’. Sera’s words had me at the point of tears but I still could not help but think that Victor should be here to say goodbye. Nether-the- less, I respected Sera’s wishes and I made her comfortable until the end, holding her hand until she passed. I felt a terrible sadness after Sera’s death and felt the need of a well-earned day off. I knew that a day off was out of the question though, when fifty two more women were admitted with the beginning symptoms of the Pandora virus. None of the patients that I treated ever died peacefully, or with any inch of dignity left in them. It was a horrible virus that spread, not sparing a single soul in its way. A couple of months after the virus made itself known to us, it mutated. The mutation sped up the dying process, giving each patient on average up to seven days life expectancy and no more, which was a drastic change from the usual two to three week process. This was devastating news to family’s worldwide, and everyone prepared for the worst. Pandora spread like a cold and anyone could catch it. Although it helped if you had a strong immune system and stayed away from anyone that was already infected, there was always going to be a ninety eight percent chance of catching the virus regardless. 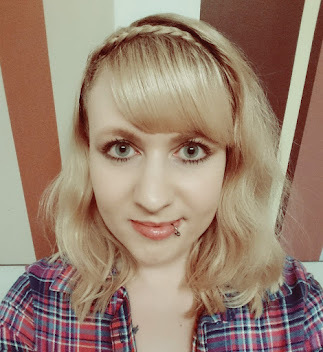 I considered myself very lucky to be within the two percent of women that never caught Pandora during its initial spree, but with my job it seemed that it was inevitable that I would eventually become infected. When I became infected with the Pandora virus, I wasn’t ready to give up. My husband continuously watched the news and searched for any hope of a cure, but there was nothing, despite the government at one point promising the fresh hope of a cure that was within the final stages of testing. The rumours spread far and wide until people began flooding into the hospitals, looking for the cure. I asked around my colleagues, to see if anyone had heard of a real cure that would beat the virus, but nobody seemed to know anything, or they were too exhausted from working twenty four hour shifts on a daily basis. Now that they had lost me and a few other female members of staff, the struggle began. Some people had to be thrown out of the hospital, as riots began to escalate. Men started fighting each other trying to get into the hospital. Everyone wanted to be the first person to get their hands on the cure that they had been promised by their friends and the government officials on the news. But the cure never existed. Many people had to be thrown out of the hospitals and banished from being with their wives, girlfriends, sisters and mothers, who lay upon their death beds. The violence grew stronger, and groups began to form outside of the hospital. People marched on in circles and as the numbers increased, the groups grew so large that they surrounded Meadow Park entirely, forming an impenetrable barrier of defence. The news anchors continued to tell the same lies over and over again, and problems got so bad that all of the doctors began to flee from the hospital. Fearing for their own safety above their patient’s illnesses, they sneaked out one by one, blending in with the mob outside. The mob, were still anxious for a cure and simply would not understand that there was no such thing. Huge logs of wood were thrown through the windows, which had to be replaced with table tops from the cafeteria. Meadow Park was eventually abandoned by the mob outside, as they had finally realised the hospitals had no cure. Instead they decided to go after the government. Reports were all over the news of brutal murders by a group they called the Savages. The news station was the next on their list. The savages broke in late one night, when all of the staff had retired to their homes. Upon their arrival the next morning, the savages were waiting for them. It was rumoured that they locked the news station down from the inside out, and butchered everyone in sight. One of the savages recorded clips of the bloodbath, posting them all over the internet with a message- that signalled what was to come: ‘you’re either with us or against us’. All order was lost after that day and a new world began: a world of murder, chaos and destruction. The world was at war with its own people, and the price was far greater than was ever imagined. The death count rose, with thousands of victims being slaughtered. The savages invaded people’s homes, killing anyone who would not join them. Evidently many joined out of fear. No one wanted to die. The virus was killer enough, without a town full of rebels wiping out the remainder of the population. The ones that didn’t want to join the Savages but also didn’t want to die fled their homes taking shelter on the streets. They lived in the sewers and did what they could to go unnoticed. People say they started living off rats and insects, and eventually were so ravenous that they began eating each other. Whether the rumours were true we will never know. I convinced my husband to take me home. I didn’t want to die in an abandoned hospital, or anywhere else for that matter. I wanted to be within the comfort of my own home. When it was safe and there was word of the Savages moving out of the city, he brought me home. I laid in bed trying my best to not show the fear in my eyes, or the pain that took hold of me. I wanted my husband to remember the good days and to not see me like this, but he insisted on being with me in every passing moment. He read to me, fed me, bathed me and made me as comfortable as I could possibly be within this situation. I loved my husband, he was my rock, but when he let a complete stranger into our home I could have killed him - if I wasn’t dying already of course. The minute I saw the man I feared him. He was of an African origin, around six foot five, with a shaved head and muscular build. He wore a white robe and brown sandals. His neck was mounted with golden neck chains, with what looked to be animal teeth on the end of them. ‘Marie this is Simba, he’s here to help’. My first reaction was instinctive, ‘what could this man do to help me?’ The Pandora virus was literally invading every inch of my body. A priest? He sure as hell didn’t look like any priest that I’d ever seen before. As his face neared my own, I saw the horror trapped within his eyes; this was a man who knew pain, a man that said he could help me, but still I did not believe him. I worked in a hospital before it was ruined, and I saw the many women who were taken by the virus, so there was no way I was going to let this stranger barge into my home, leading my husband astray with the false hope that I could be saved. ‘Dale, I’m sorry but please get rid of him. He is a con artist and has no idea what he’s doing. Please get him out of here,’ I protested. The man stared at me with a glare of death, before turning to my husband. He put his hand upon Dale’s head. Dale’s body became limp and he swayed before falling onto the ground like a sack of potatoes. ‘What have you done to my husband? Get out of my house!’ I yelled. I felt like the life had been knocked out of me. As I lost my breath whilst trying to cough, I began to choke as blood spurted out of my mouth. The priest ran over to me, and holding me within his arms he chanted a few words in another language that I didn’t recognise. He then spoke in English. Before I had the chance to ask him what he meant, he had vanished. I tried to reach out to Dale, but my body began to shut down and before I knew it I was out. I opened my eyes and looked around to find Dale, but he wasn’t there. I felt utterly dazed and confused. I could hardly see anything. What was wrong with my eyes? Everything around me was one huge blur upon another. All the blurs seemed to mix up together and every colour muddled into one giant mess. My head ached. ‘Am I dead?’ I asked myself. I looked around hoping to see the outline of my husband somewhere still lying on the floor, but no one was there. I was all alone and I have no idea where I am. My eyes rocked back and forth in their sockets. I tried to close my eye lids only to discover that I didn’t have any. I tried to touch my face, but my arms wouldn’t move. It was as if they had been locked into place, and no matter how much my brain told my arms to move, they would not. I screamed in fear of what was happening to me, but as I screamed no sound came out of my mouth, and I found that my mouth was actually shut. I moved my eyes slightly to the left to see a silver glint. It was a mirror. Finally something that could make sense of this whole situation, or so I thought. I looked deep into the mirror, unaware of my appearance. When my eyes met with my reflection, I immediately jolted four feet into the air, and came crashing down, taking half of the ceiling with me. I was strong and, more importantly, my skin was silver. I didn’t recognise myself at all: it was as if I was trapped inside someone else’s body which I couldn’t command. Then all of a sudden the ground began to shake beneath my feet, and I heard a faint voice calling out my name. My eyes had closed and reopened again, and I weakly pulled my hand closer to my face, sweeping my fingertips over my eyes. ‘I have eyelids and I can see,’ I smiled in amazement. Dale looked at me as if I had gone mad. That’s when I realised that I must have been dreaming. Then I remembered the priest. ‘He’s gone’, Dale said in response to me glaring towards the door. He told me that the man was recommended to him by a friend of his. He was known to have extended life expectancy, with his creepy chants, to help women survive a few days longer. Apparently he had been using his techniques on as many women he could find, to try to find the one he could heal fully. Then with the knowledge of how to terminate the virus, he could begin curing the world of its disease. I hoped that one day he would manage to cure someone fully back to health, but I knew that that one day was not going to be today, and it was never going to be me. The dream I had remained strong in my mind. Maybe it wasn’t just a dream, but instead a glimmer of hope that the world could be saved. After only three months of the virus making itself known to mankind, most of the female population was declared dead. We were fast becoming a dying breed that would eventually end up extinct altogether. Everyone who was left wondered how mankind could possibly survive without the possibility of reproduction in our species. The human race would cease to exist in the end and, with no females around to reproduce, how could humans continue to survive much longer? The apocalypse was upon us, and no matter what, there was nothing any of us could do to stop it. Until the day that the government made an official announcement. I remember it clearly as if it was only yesterday. The news stations were back up, and radios were hacked everywhere, to only play one channel and frequency. The sane people who were left immediately stopped what they were doing and tuned in to listen to what the government had to say. Some hoped that there was a cure, as many husbands, brothers, fathers and uncles could only watch as their female family members decayed, until there was nothing left but blood and tears. Others continued on their rampages, destroying everything and everyone in their way. But for those of us who listened, there was a powerful message to be heard. I couldn’t believe my ears. As I lay there upon my death bed, the government were announcing a new world order. A future where robots would exist, partnered with all of the husbands we left behind, to take over from where we left off. It was not normal, and it certainly wasn’t natural. What did he mean by making them to reproduce? I couldn’t even imagine the monstrosities that would create. Were the government mad? Had they lost their minds? One side of me thought that this could be the worst idea ever. However there was another side of me that, though I hated to admit it, thought that this could actually work. There was no point feeling jealous that we were all being replaced by female robots, as soon none of us would be left to care. I did want Dale to be happy, and I wanted him to live his life after I was gone. But I didn’t really know how I would feel if he brought one home tomorrow, before I’d even gone. Call it jealous or whatever you like, but I was still alive and as long as my heart was beating, I wanted my last moments to be how they should, not with a robot whizzing about the place. Dale sat in silence as I vaguely smiled over at him. He came over and lifted my head up to put his arm beneath my neck. Whilst my husband supported me, I decided to ask him the long nagging question that had been bugging me since he had turned the radio off. He looked at me with a blank expression upon his face, then his jaw dropped when he realised of what I spoke. My eyes swelled up as if bees had stung them, and tears poured down my cheeks like raging waterfalls. I loved Dale from the moment I first laid eyes on him and this was why. His loyalty had always astonished me, from the moment I met him I knew there would never be anyone else. Then there was a knock at the door. I hesitated and tried to stop Dale from answering the best I could in my current condition. I tried to tell him that the Savages were still out there, and other groups that had formed afterwards, but he would not listen. He had to be the hero. My panic was over when I realised that Dale knew this man. He walked into the room where I laid. His entire body was covered in dirt and he was drenched from head to toe, as if he had just decided to take a swim on the way over here. However I knew that wasn’t the case when I saw the fear and exhaustion in his eyes. I stared at the man until he eventually caught his breath and spoke. The man named Felix sat down but shot back up into the air as soon as he heard a rustle coming from outside. Felix panicked even more. Dale began screaming at him, shouting 'no' over and over again, until I heard a strange thrust and a loud bang on the floor. I tried to stand up but I was too weak. The virus had drained every ounce of strength from my body. The front door then burst open, and a line of military men marched in one by one. One man came up to me and apologised for any upset or inconvenience caused. I asked him why they were here, and why the man named Felix was being hunted by them. He briefly paused before explaining that Felix was one of the detached members of the Savage gang. He told me that Felix had murdered a lot of people in cold blood, and was one of the main leaders of the gang. Then he went on to explain that they had been tracking him for some time, but he was always one step ahead. Eventually, they received an anonymous tip from someone who knew him, and where he was headed. Then he left. They all left, carrying a black body bag out of the door with them. It made me sad to think of what happened to Felix, as soon that would be me being carried limp and lifeless through the doorway. Although not in a black bag I hoped. Even though the military soldier was charming, I did get the impression that he was trying a bit too hard to convince me of the truth, therefore I didn’t believe a word he had said. When Dale came back in after being questioned in our kitchen, he told me that Felix killed himself. He said Felix looked so terrified of what would happen to him that he picked up a sharp knife and slit his stomach open from top to bottom. I couldn’t believe my ears. The Savages were named savages because that’s how they acted, but Felix didn’t act anything like one. If anything, he was afraid, but of what we would never know. His words repeated in my head that night, as I tried to sleep. Keep posted for more updates including the release date and an interview about Silver City.